Flash based CDROM for the theatre group Stan’s Cafe. 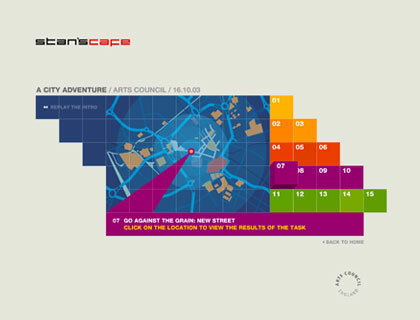 A City Adventure is an exercise in creative learning and risk taking. 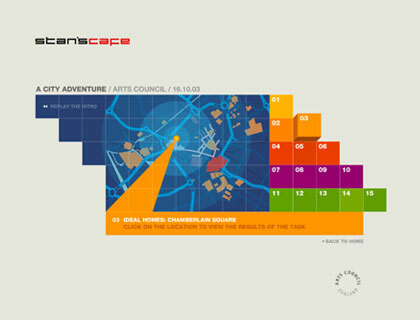 The participants complete tasks based within a city and the CDROM is an interactive record of their adventures.